Community Lanes is dedicated to growing the sport of bowling. We want to introduce this great game to our youth at an early age so they can enjoy it throughout there life and share it with their family and friends. We will be introducing a youth program in early 2019. Check back soon for more info. ARLINGTON, Texas – Six youth bowlers who participated in the 2018 Junior Gold Championships presented by the Brands of Ebonite International have been selected to receive the David Dahms Sportsmanship Award. For more information about the Junior Gold program, visit BOWL.com/JuniorGold. 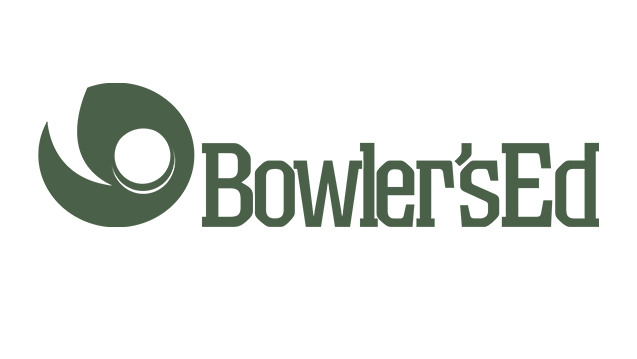 ARLINGTON, Texas – Bowler’s Ed kits, containing curriculum and equipment designed to introduce students to the lifetime sport of bowling, have been awarded to 15 schools and organizations based on submitted applications to International Bowling Campus Youth Development. The Bowler’s Ed kits provide educators with the tools needed to engage children in a true bowling experience by providing a bowling-center atmosphere inside a classroom or gymnasium. The easy-to-follow curriculum, which adheres to common core educational standards and includes cross-curriculum activities for grades K-8, features activities to enhance cardiovascular health, coordination and endurance. A total of 21 kits have been awarded to the 15 schools and organizations. Harmony Evergreen Public Schools in Vancouver, Washington, will receive four of the kits while Big Hollow School District 38 in Ingleside, Illinois and the Middle Georgia United States Bowling Congress Association each will receive two kits. North Salem Elementary, Pittsboro Primary Elementary and Tri-West Middle School in the North Salem, Indiana, area will receive two kits. Ardmore Elementary School, Villa Park, Ill.
Big Hollow School District 38, Ingleside, Ill.
Corpus Christi School, Evansville, Ind. Harmony Evergreen Public Schools, Vancouver, Wash.
Lighthouse Education Center, Saint Joseph, Mich.
Krug Elementary School, Aurora, Ill.
Middle Georgia USBC Association, Centerville, Ga.
New World Preparatory Charter School, Staten Island, N.Y.
North Salem Elementary, Pittsboro Primary/Elementary, and Tri-West Middle School, North Salem, Ind. Saint Joseph Grade School, South Bend, Ind. Steindorf STEAM School, San Jose, Calif. The Youth Center, Glen Gardner, N.J.
Walter Jackson Elementary, Decatur, Ala.
IBC Youth Development works with schools, bowling centers, associations, and other organizations to deliver Bowler’s Ed kits, an initiative supported by the entire bowling industry. It also seeks to bring bowling centers and associations together with schools in their community so physical education teachers can make bowling one of the sports they teach to their students. The Bowler’s Ed Grant Program has awarded approximately $500,000 to schools and organizations in the form of Bowler’s Ed kits since 2009. Visit BOWL.com/BowlersEd to learn more about the program. ARLINGTON, Texas – Champions have been announced at the 2018 Bowling.com Youth Open Championships, which recently welcomed United States Bowling Congress Youth members to the Dallas area as part of the Junior Gold Championships presented by the Brands of Ebonite International.